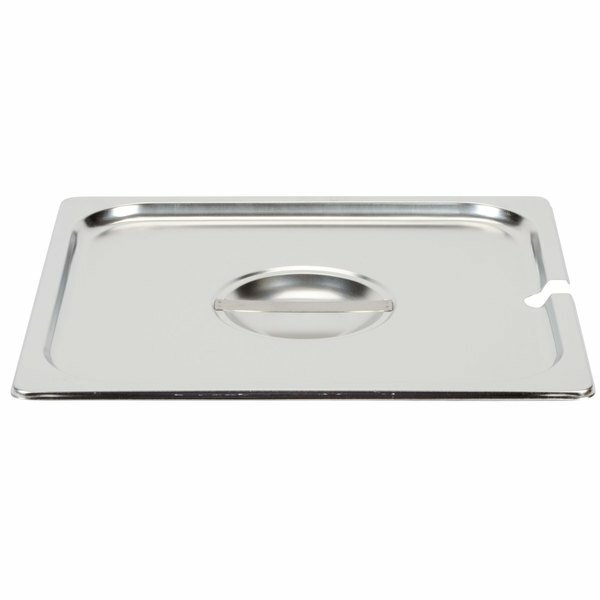 Accessing your entrees and side dishes is effortless with this 2/3 size flat stainless steel steam table pan cover. 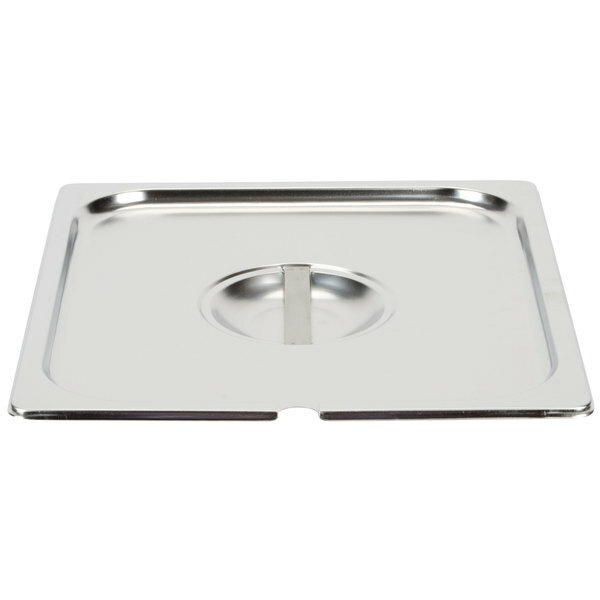 Made to fit any standard, 2/3 size chafer pan, this stainless steel cover serves both functionally and aesthetically. 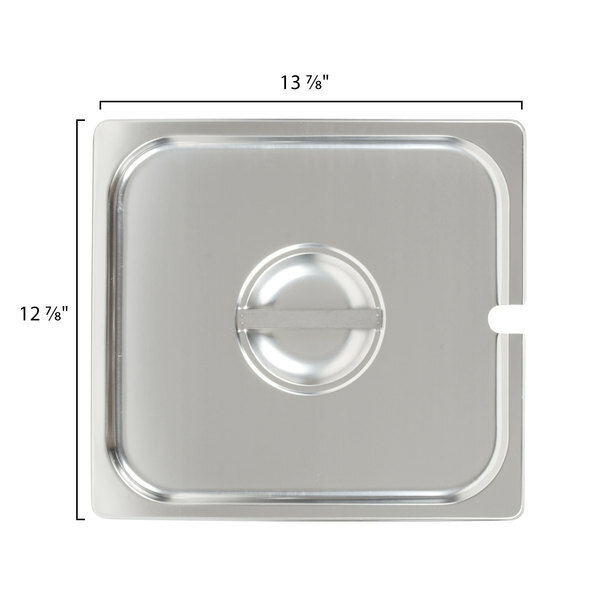 Whether you are catering an event or serving on a buffet line, this lid will keep your dishes hot for hours and withstand years of use. "Excellent value for your money. 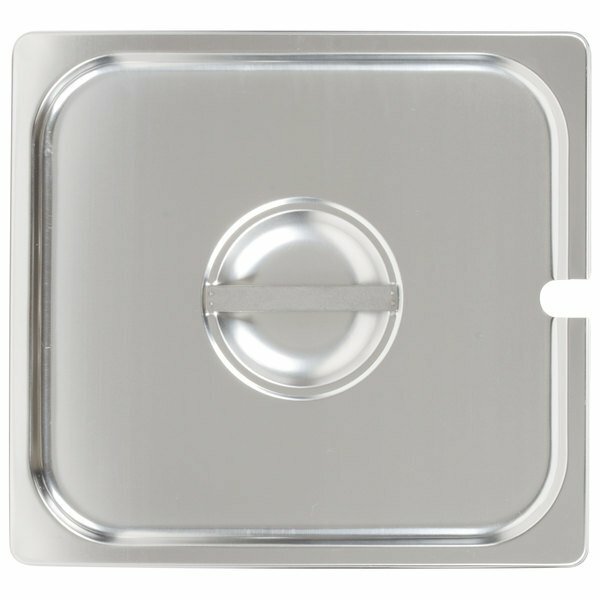 Works with other pans and looks great. 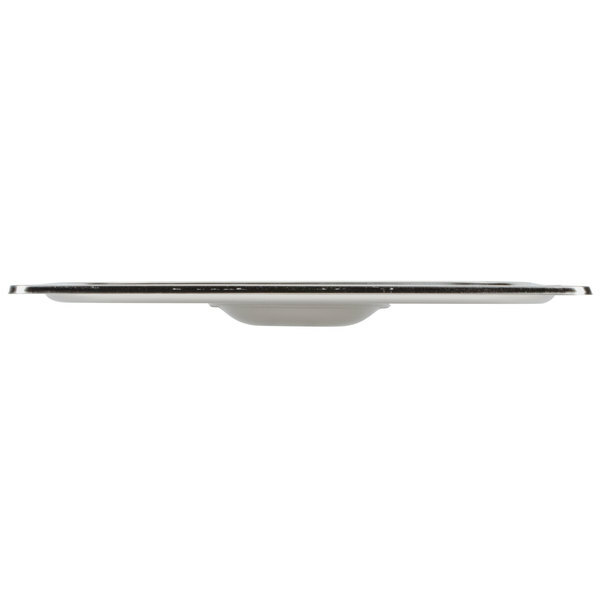 I've had this brand for other items as well and has held up well." 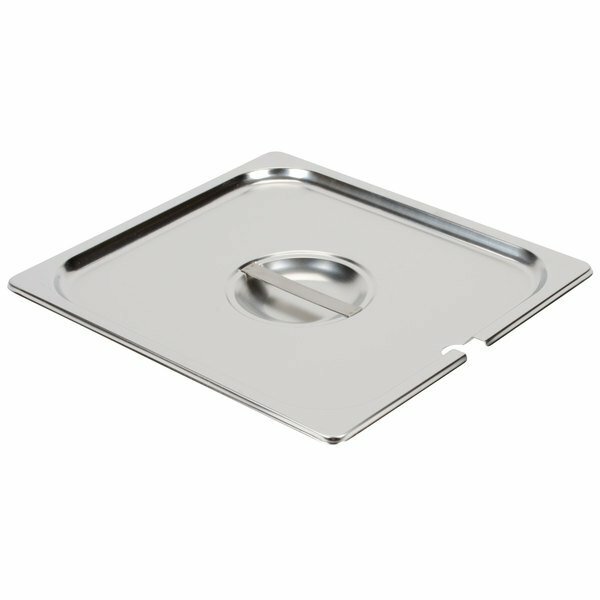 Whether you are catering a birthday, barbeque, or accommodating any hungry crowd, this Choice chafer cover will help keep your dishes hot! 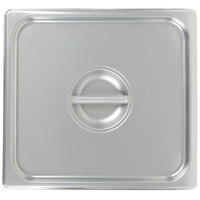 Additionally, keeping your dishes covered helps keep unwanted contaminants out of the food for safer service. 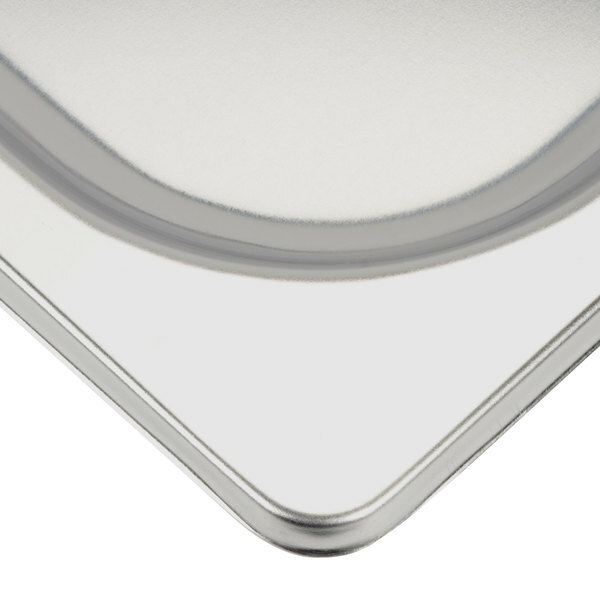 A high-polished exterior provides an elegant look, while the stainless steel construction ensures reliability. 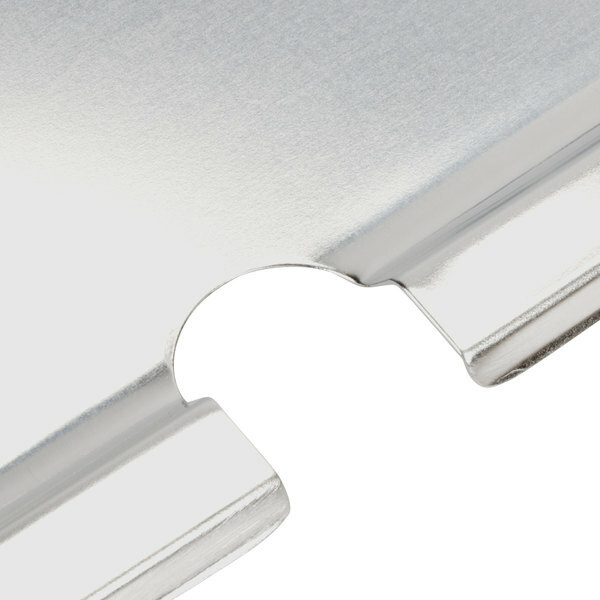 Opening and closing is also made easy with a flat, center handle. 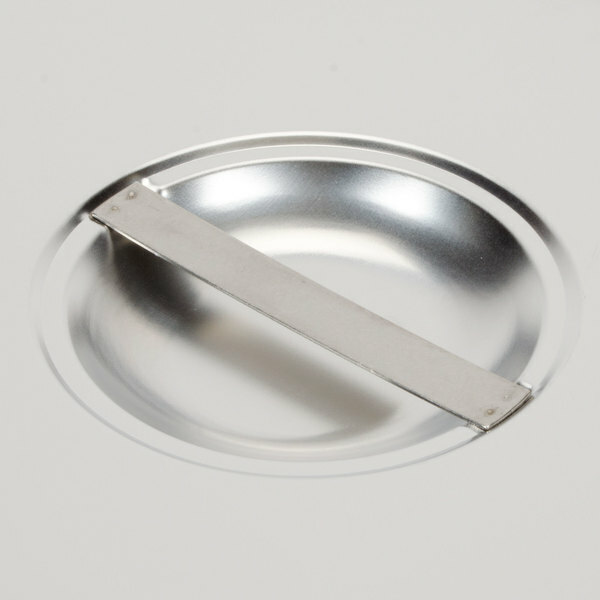 An open slot at the side of the lid allows for fast access to a kitchen tool, like a ladle. 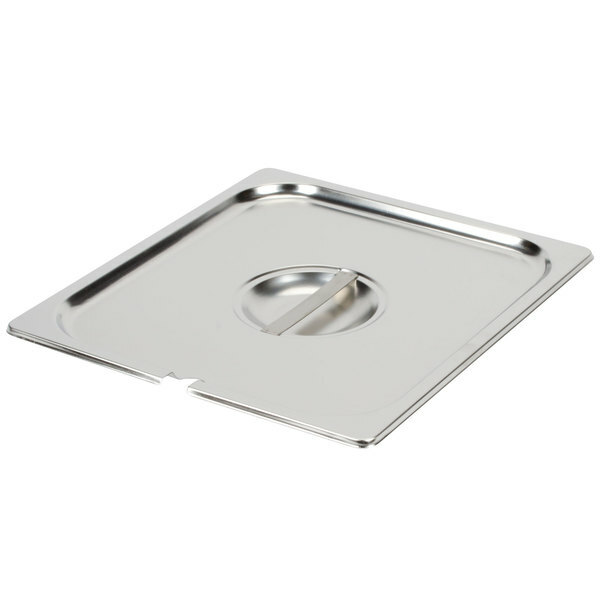 The Choice 2/3 Size Stainless Steel Slotted Steam Table/ Hotel Pan Cover is an excellent quality cover. 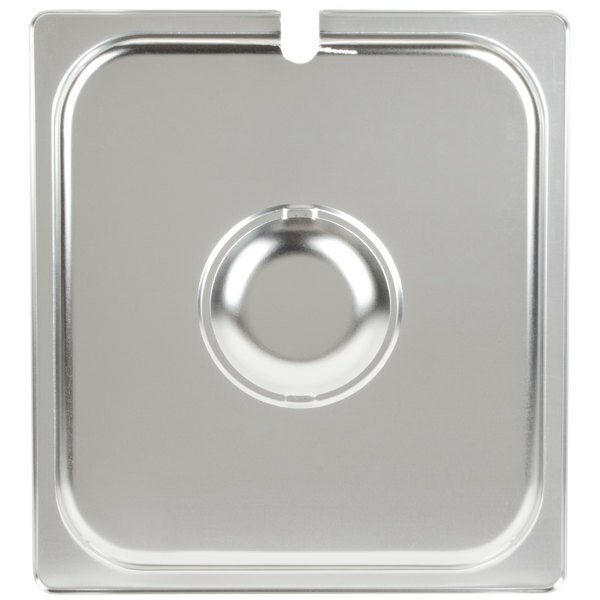 Utensils fit well in the slot and it fits well on a 2/3 size pan .It is durable and dishwasher safe. The price is great for the quality. excellent cover. goes perfectly with 2/3 size steam pan. 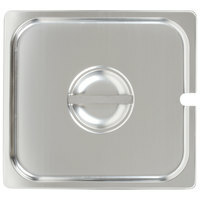 the stainless is of great quality and handle is properly attached. can withstand many washes also. Excellent value for your money. Works with other pans and looks great. I've had this brand for other items as well and has held up well. The 2/3 pan needed a proper cover. But I think the utensil slot should be bigger as the utensil size you use for such a large pan would need to be long enough.